Gloss metallic foil combined with letterpress looks really impressive on wedding invitations. Especially when you want that some objects would stand out in your design. 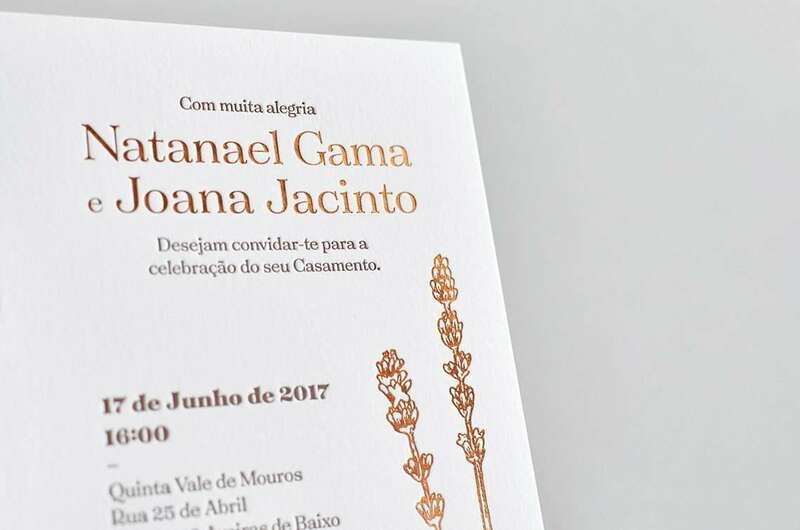 This wedding invitation is printed in one colour letterpress, names and motif is printed with metallic copper foil which makes them look more important and attractive in this design.